Omar Efrain Torrijos Herrera leader of Panama from 1968 to 1981. He is more commonly known as Omar Torrijos. Torrijos was the Commander of the Military of Panama. 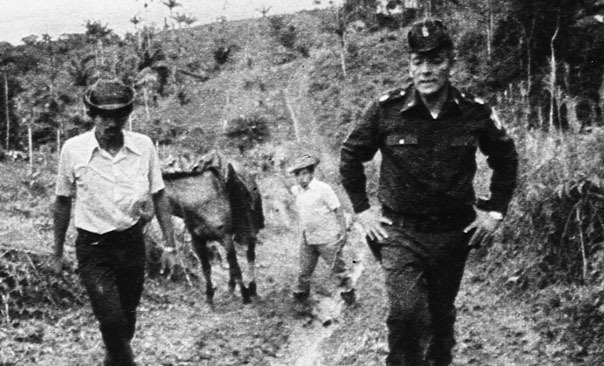 Even though Panama had a President, Torrijos was the leader. He is best known for making a treaty giving Panama full control of the Panama Canal. His son Martín Torrijos was elected president and served from 2004 to 2009. 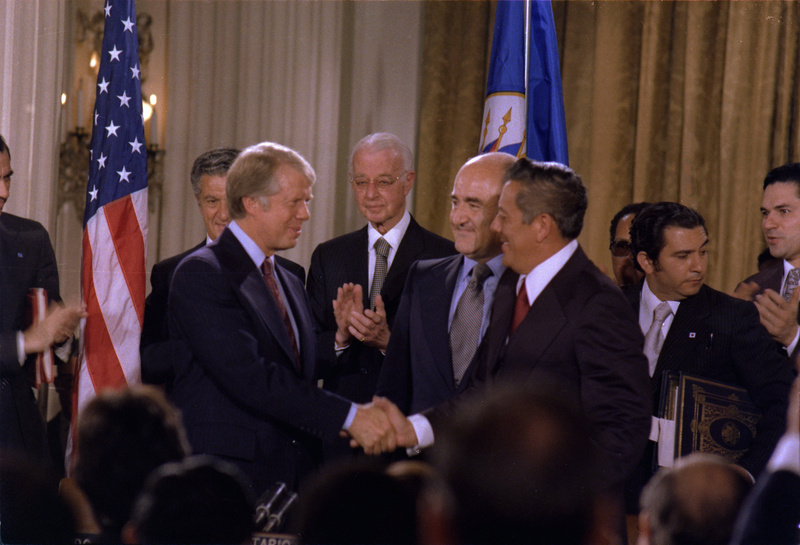 President Carter shakes hands with General Torrijos of Panama after signing the Panama Canal Treaty. Omar Torrijos Mausoleum in Amador, Panama City, in the former Canal Zone. Omar Torrijos Facts for Kids. Kiddle Encyclopedia.